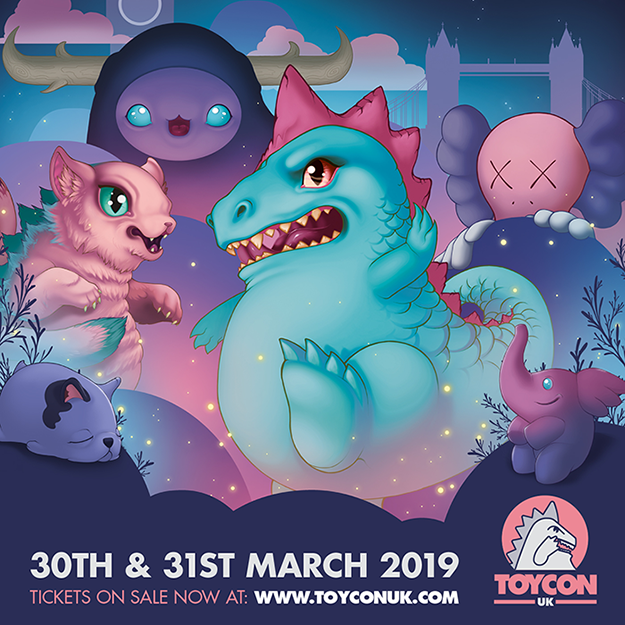 This weekend is Toycon UK, and we wish we were on the other side of the pond to take part in this highly anticipated convention. From what we’ve seen in the past several years Toycon UK is the place to be for amazing UK/Europe-based artists, toy designers, sculptors, and more. 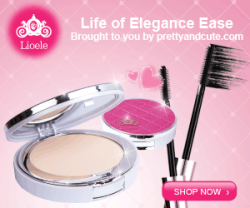 This year there are some exclusives that we have our eyes on. 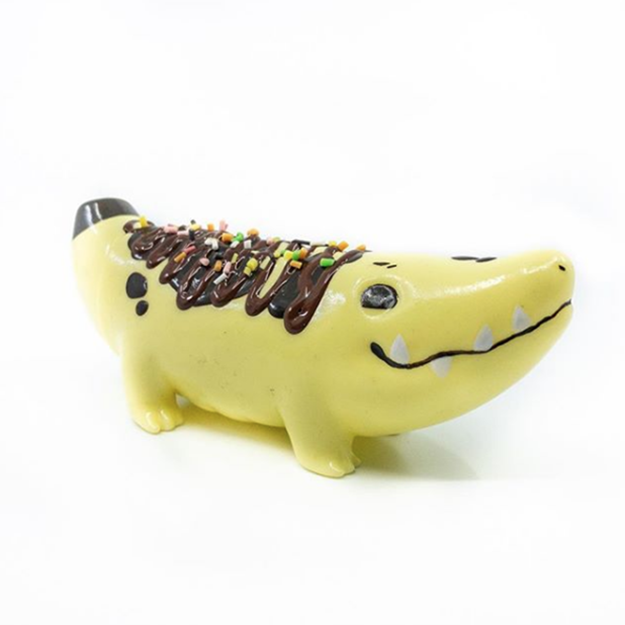 Sorbet Jungle will be coming to Toycon UK, armed with a collection on one of a kind sundae Croconanas! These sofubi toys are all individually decorated to look like tasty banana splits. Above is just one of the variants that will be available for attendees. Just looking at this one is making us hungry! 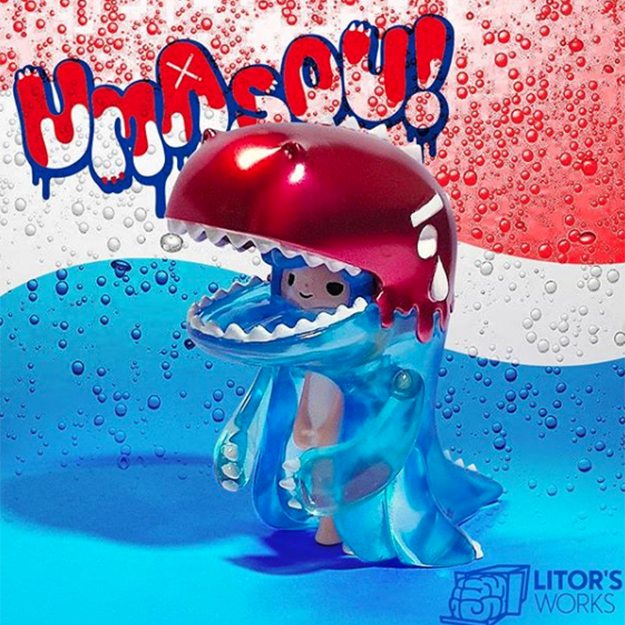 We’re fairly new to Litor Works but when we saw their Pepsi-Inspired Uamso figure, we couldn’t help but fall in love with it. The colors and details of it are amazing! 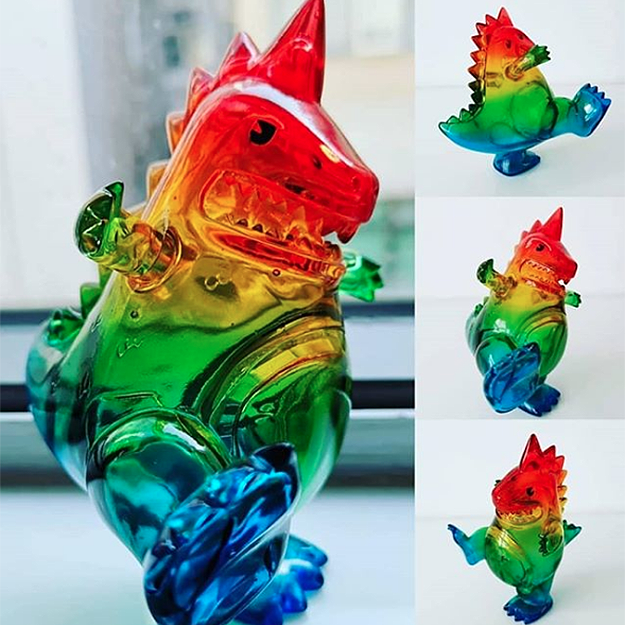 Who doesn’t love some clear sofubi? 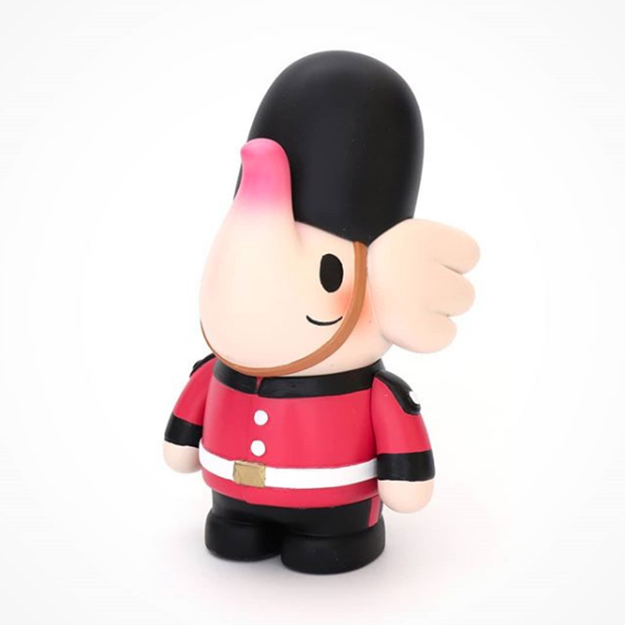 The latest Elfie from Too Nathapong is ready to join the Queen’s Guard with this special edition Traveling Elfie! It’s so cute, from the top of his Bearskin had to its feet. It only makes sense for this version is first available at Toycon UK! 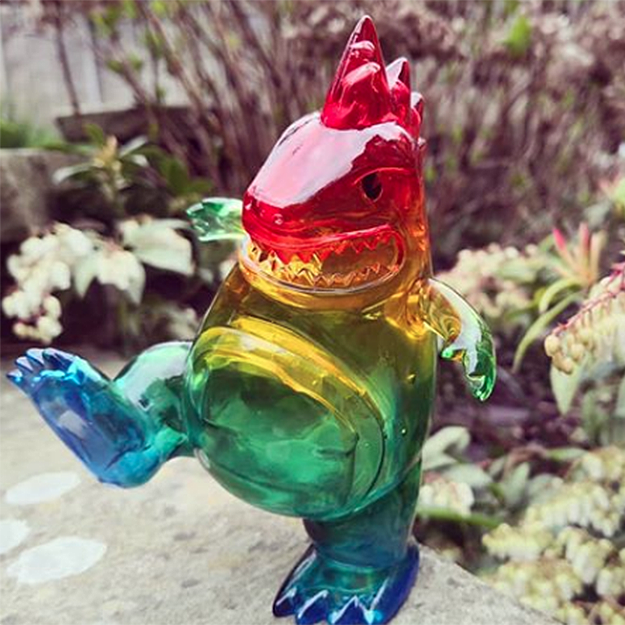 It looks like Toycon UK’s mascot, TCon the ToyConosaurus, has gotten a makeover thanks to Unbox Industries and Ziqi Wu. 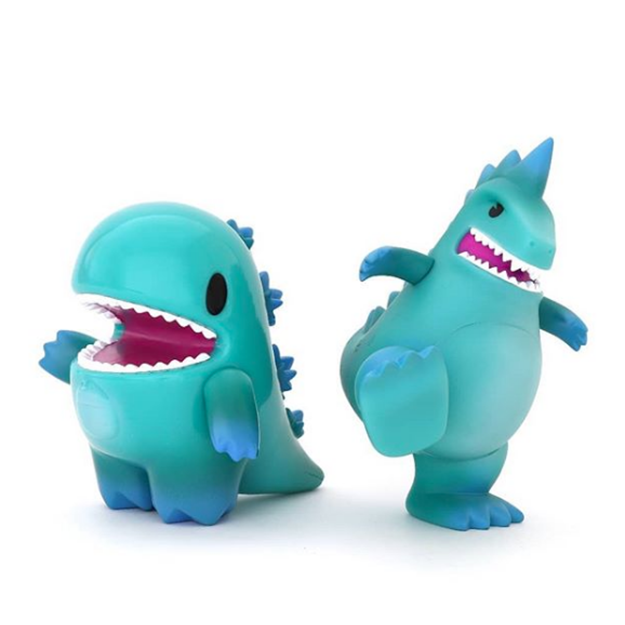 The latest Little Dino is in the same original colorway of TCon, all the way down to its spiky back. Whenever you’re a Dino or TCon fan this would be a great addition to your collection. How amazing is this TCon? Unbox Industries knocks this version out of the part with its gradient colors for this year’s version of the convention’s mascot. We don’t have any other words for this except we want one NOW! The Bots‘s version of TCon is maybe the cutest version we’ve seen in awhile. TCon looks way more friendly and ready to meet attendees and exhibitors. Is it just us or does anyone get a happy feeling looking at this custom? This is just a small portion of the toys available this weekend. To see all the vendors, check out Toycon UK’s official site.